My first race of this season is already a few days ago. After some issues with my hip flexor in the last weeks, my main goal for this race was mainly to run a steady pace and to help my team to win the team race. As the gun went off, I set myself around the 10th position and was close to overtake the lead cart, since they had some trouble with shifting. I was aware that I have to be patient in that race, since my last few weeks of training weren't perfect. Neverthless I went into the second lap right infront of the main group and tried to increase my pace but my legs were not able to switch into a higher gear today. Due to that one of my teammates was able to catch up to me and together we went into the last mile. 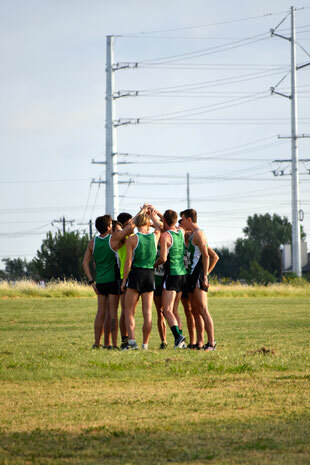 Along side us there were two athletes from Baylor which were our main rival for the team title. In knowledge of that I started my finish sprint already at 500 to go and turned at 5th position into the final straight. There one of the Baylor runners was able to get in front of me, while my team mate lost against the second Baylor runner. ¨This followed that I finished in 6th position and our team lost the team race by just 5 points. Obviously, I wasn't too happy about that result but the most important thing was, that I didn't have any pain while racing. To give my hip flexor some time to recover, I won't run the next race at A&M. Following that I have now four weeks to get in some work and to be ready for my next race at Pre-Nationals in Lewisville, Kentucky.